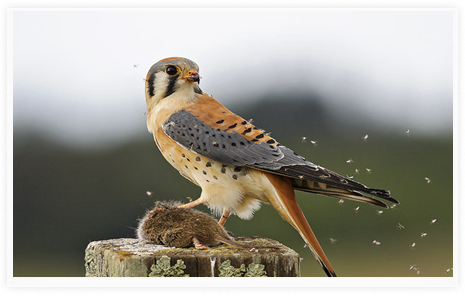 A Kestrel is a falcon which is differentiated from its relatives by its hunting behaviors, flying capabilities, habitat and range. Like this unique raptor, Kestrel Capital Group takes a different approach. We invest for the long-term, most often without a planned investment horizon. We prefer situations where key decision makers and stakeholders care deeply about the legacy of their business – both as they grow, and when they are ready to move on. We focus on each stakeholder’s perspective in arranging a transaction and look for the results to present win-win outcomes for all parties. Our preferred partners care about more than just the highest price and the most seller friendly terms. We believe the goal of every organization should be to engage a collaborative team, committed to working on themselves and their business, so they may embark on a long-term journey toward a strategic purpose. With focus, patience and persistence, and an eye toward learning and evolving, meaningful organizations emerge resulting in substantial value creation. When achieved, liquidity opportunities follow. Photographic artist Larry Kanfer challenges himself to find the subtle beauty in the everyday. With a career spanning over thirty years, Larry has had the rare opportunity of making his art his profession. After receiving his degree in architecture from the University of Illinois in 1979, he opened his first photography gallery and studio in Champaign, IL. Most well known for his Prairiescapes®, he has brought acclaim to the Midwest through award-winning calendars and original artwork capturing the beauty of the region. Kanfer has also created a variety of other major collections including Cityscapes, University of Illinois, Europe, China and India. Eight coffee-table books of Larry Kanfer photographs have been published. The newest book, “Chicagoscapes,” propels the reader into the breathtaking grandeur and warm humanity of one of the world’s great cities. Several of the Chicagoscapes images are featured on the Kestrel Capital Group website. Visit the Larry Kanfer Gallery in Champaign IL, or online at www.Kanfer.com.